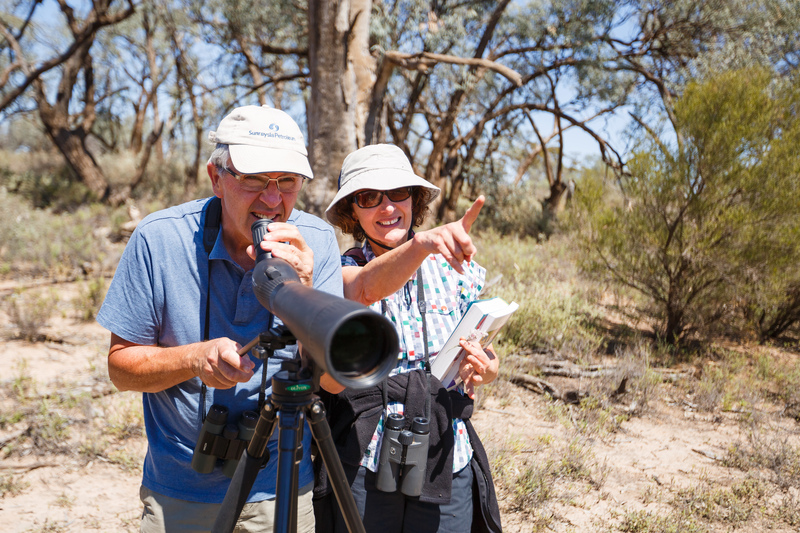 The northern region has a vital network of rivers, wetlands and floodplains that provide homes for ancient river red gums and a diversity of other plants and animals. 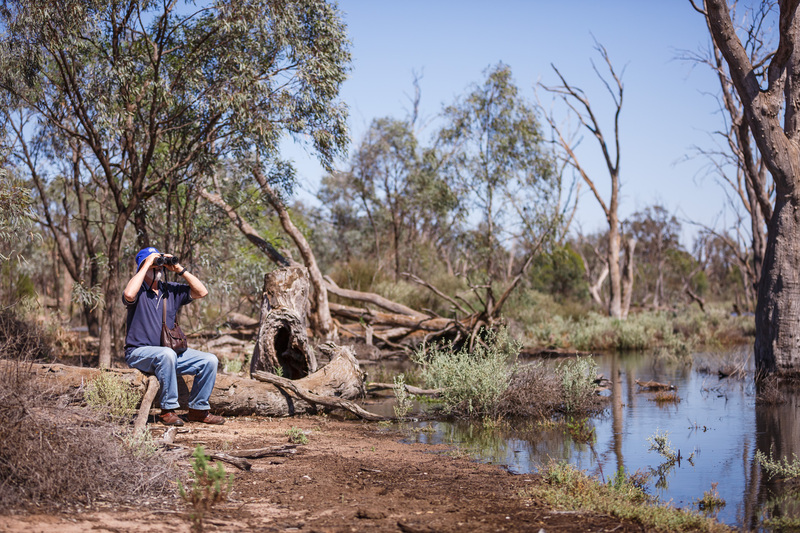 Priority sites include the Goulburn, Broken, Loddon and Campaspe rivers as well as wetlands and floodplains on these systems and on the Victorian Murray system, including Barmah Forest, Gunbower Forest, Hattah Lakes and Lindsay, Wallpolla and Mulcra islands. 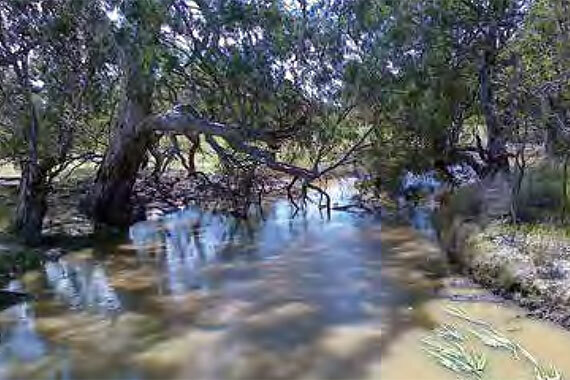 Local Aboriginal communities have an enduring connection to these sites, many of which have important heritage values (such as scar trees, middens, burial sites, artefacts and ovens). Waterways across the northern region provide highly valued amenity and recreational opportunities for residents and visitors as well as business opportunities from tourism. Importantly, these waterways also support irrigated agriculture which contributes significantly to Australia's prosperity through food and fibre production. Environmental water available for use in the northern Victorian systems is held in the Ovens, Murray, Goulburn, Broken, Loddon and Campaspe storages, which also hold water for consumptive water entitlements. The water systems of the northern region are highly connected. Infrastructure and water trading allows water to move from one system to another. This allows environmental water to move between systems for delivery to priority environmental sites across northern Victoria, if needed. However, most environmental water in these systems is prioritised to provide benefits in the regions in which the water is held. We coordinate with the Murray-Darling Basin Authority and the Commonwealth Environmental Water Office in northern Victoria, New South Wales and South Australia to deliver environmental outcomes in the Murray–Darling Basin and maximise the benefits of environmental water deliveries in Victoria. In some cases environmental water delivered through northern Victoria can be reused for environmental benefits downstream. 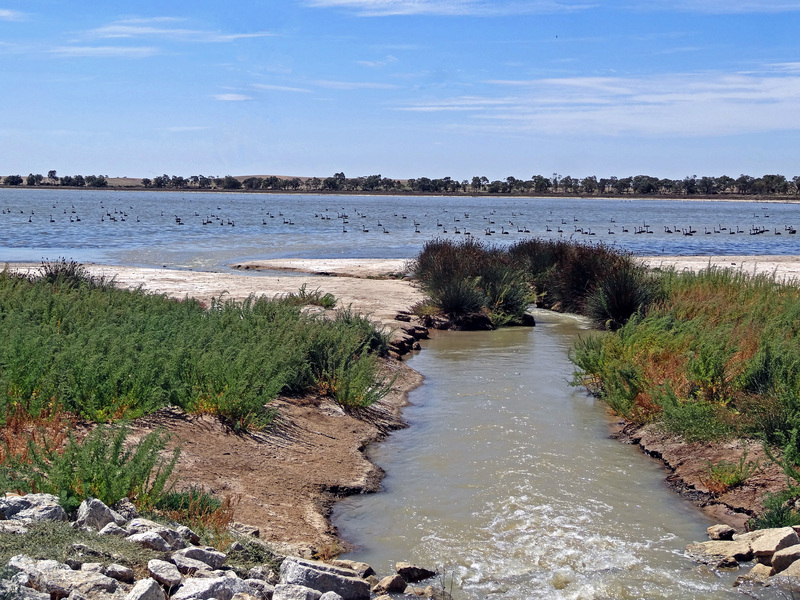 If return flows are not reused in Victoria, the VEWH, Living Murray and Commonwealth Environmental Water Holder return flows can flow to the Coorong, Lower Lakes and Murray Mouth in South Australia. We can also authorise waterway managers to order Living Murray and Commonwealth water for downstream sites, provided there are no adverse impacts on Victorian waterways. Very wet conditions in 2016–17 replenished storages across northern Victoria, resulting in good allocations at the start of 2017–18. Conditions in 2017–18 were mostly warm and dry, and as of May 2018, rainfall was needed to wet-up most catchments before there could be significant run-off into waterways and storages. Forecasts leading into the 2018–19 water year are generally neutral, with no clear indication of whether winter and spring 2018 rainfall will be above or below average. Each year on 15 May, the Northern Victoria Resource Manager releases a water availability outlook for northern Victoria for the coming year. These seasonal outlooks are updated monthly once the season begins, and are available at www.nvrm.net.au. The 2018–19 outlook at 15 May 2018 indicated that early-season water availability is expected to be moderate in most systems. The opening, high-reliability entitlement allocation is expected to be at least 20 percent in the Goulburn and Loddon systems, 40 percent in the Murray system and 100 percent in the Campaspe system, with all systems expected to reach 100 percent by October 2018 under average conditions. Under an extreme dry to dry scenario – that is, if inflows are similar to the lowest 1 to 10 percent of inflows on record — most systems are unlikely to reach 100 percent high-reliability allocation. Allocation against low-reliability entitlements is possible in 2018–19 under average-to-wet conditions. Demands for water for the environment in northern Victoria are usually highest in winter and spring. 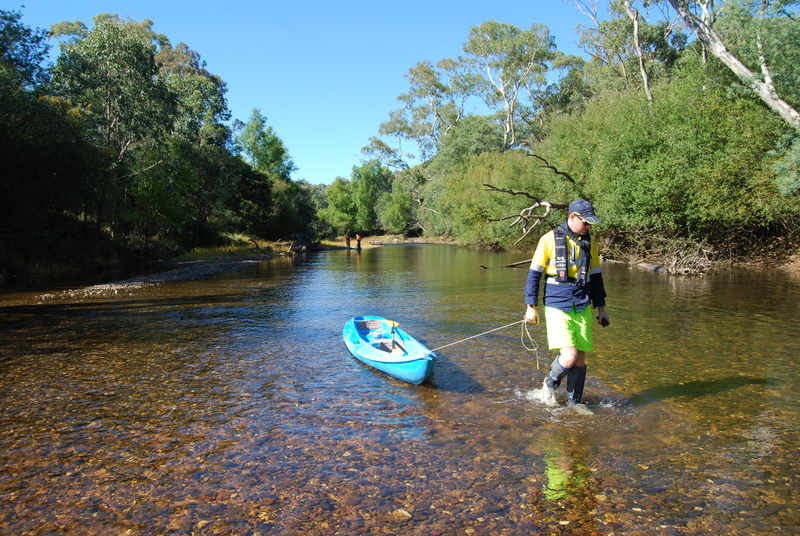 Opening allocations combined with some carryover should be sufficient to meet expected environmental demand for winter flows in creeks and rivers, as well as floodplain watering of Gunbower Forest. In 2017–18, a large volume (around 250,000 ML) of RMIF water was released from the Snowy storages because of Snowy Hydro releases for electricity generation. A portion of this RMIF was used in 2017–18 for environmental outcomes in the Murray system, with the remainder carried over to meet 2018–19 environmental demands in Victoria, NSW and SA. Large rainfall events may result in unregulated flows that meet or exceed many of the environmental water flow targets in downstream waterways. Unregulated flows can reduce the amount of water for the environment that needs to be delivered to meet the highest-priority objectives, allowing additional watering actions during the year. However, if spills from storages occur, some or all unused water carried over from 2017–18 may be deducted from environmental water accounts. What is the Basin Plan 2012? Northern Victoria is a part of the Murray–Darling Basin and deliveries of water for the environment in the Northern Region are subject to the requirements of the Basin Plan 2012, also known as the Murray–Darling Basin Plan. The MDBA developed the plan under the Commonwealth Water Act 2007 and it became law in November 2012. The plan sets legal limits on the amount of water that can be taken from the Murray–Darling Basin's surface and groundwater resources. Chapter 8 of the plan also sets out a high-level environmental watering plan, which defines environmental objectives to protect, restore and build the resilience of water-dependent ecosystems and their associated functions. The VEWH's environmental planning and delivery is consistent with the requirements of the plan. The potential environmental watering outlined in sections 4 and 5 of this seasonal watering plan fulfil Victoria's obligations to identify annual environmental watering priorities for Victoria's water resource areas under section 8.26 of the Basin Plan 2012. 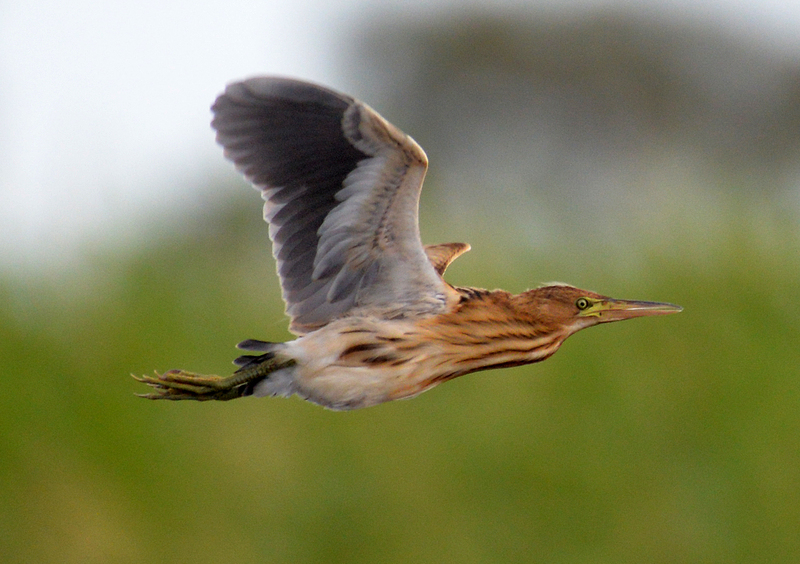 Surveys show a connection between environmental watering and waterbird fledging. There has been an increase in black box seed release and fruiting in Hattah-Kulkyne National Park. Fish in the Mullaroo Creek and upper Lindsay River are moving and breeding thanks to environmental watering and new infrastructure. Environmental watering in 2015-16 benefitted Barmah Forest's moira grass plains - the most extensive in Victoria. 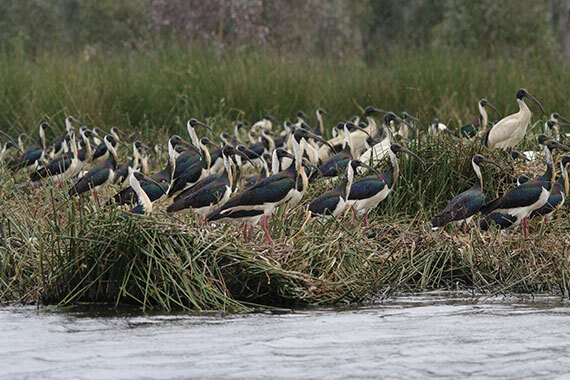 Improved habitat for pythons, bats, monitors, sugar gliders, fish and waterbirds at lower Murray wetlands. Watering included 95 % of the forest's wetlands and benefited 14 percent of the forest's river red gum trees. 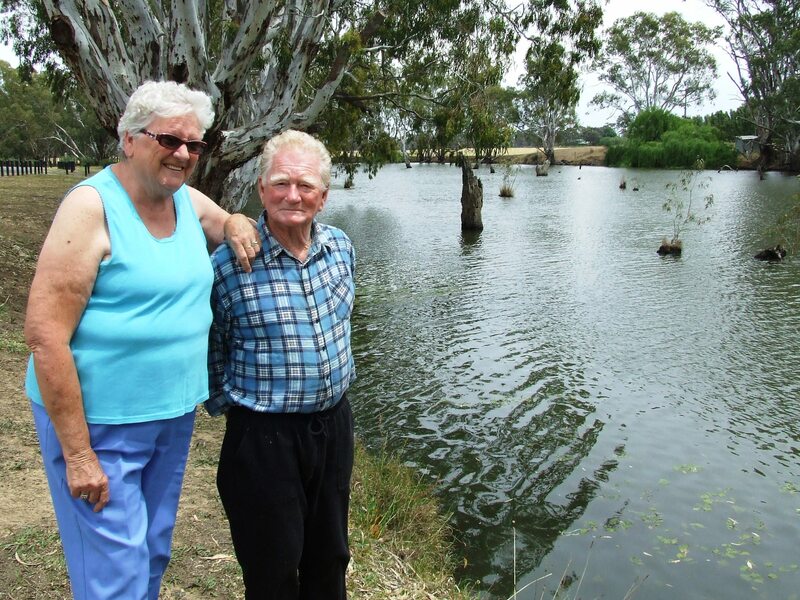 The Loddon is on the road to recovery following the prolonged drought and floods of 2011. 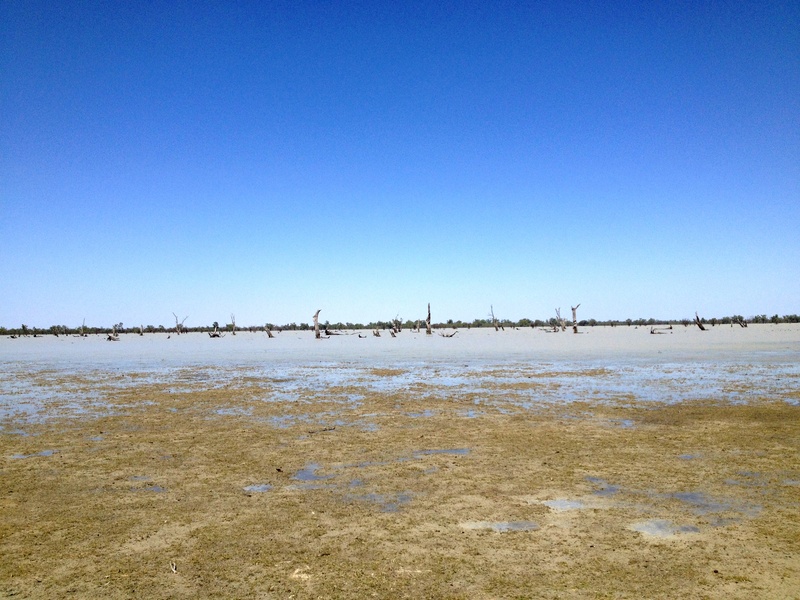 Waterbirds flocked to wetlands in the central Murray wetland complex following environmental watering in 2015–16. 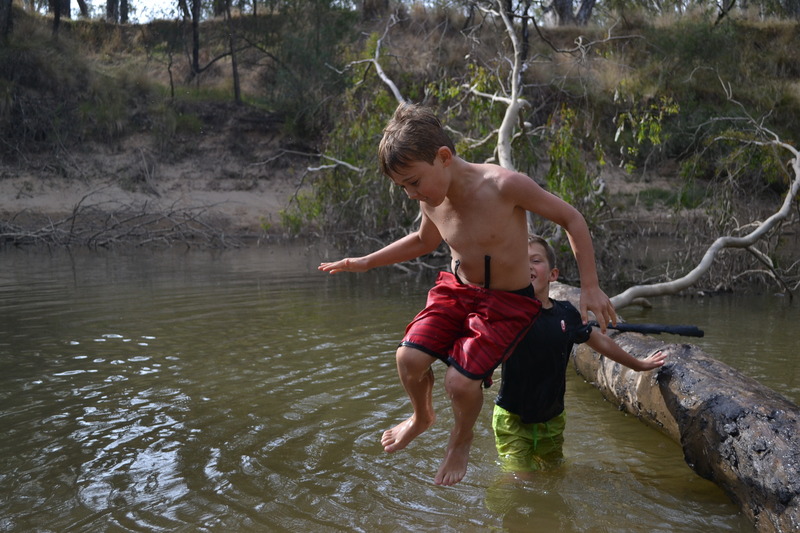 The Campaspe River is gradually climbing back to health following the Millennium drought and the floods of 2011. 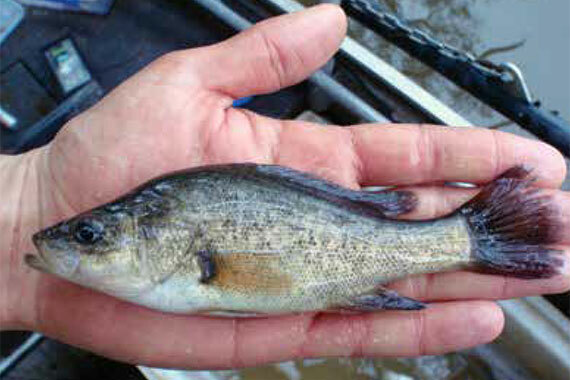 Lower Broken Creek fish proved remarkably resilient to low oxygen and azolla and blue-green algal outbreaks in 2015–16. 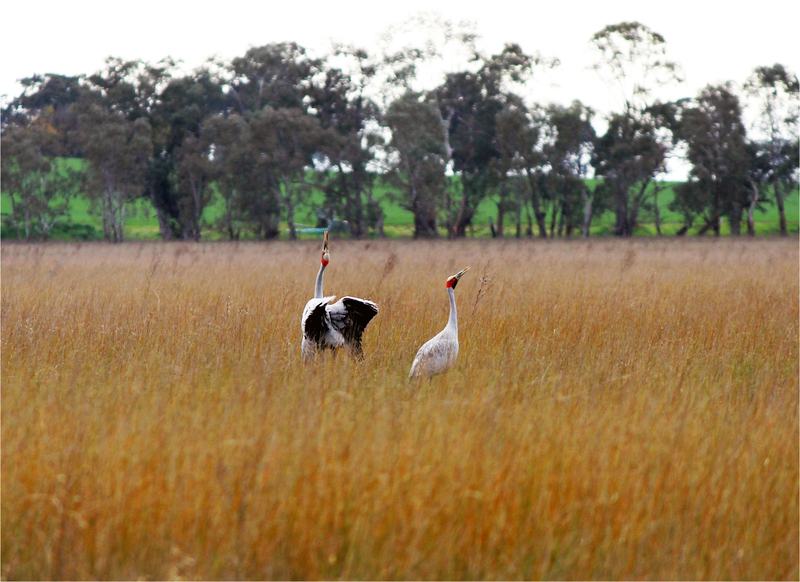 Kinnairds Wetland and Black Swamp near Numurkah attracted birds not seen in the area for years. Flexibility was important during 2015–16, with the timing of environmental watering adjusted in response to weather and river conditions. 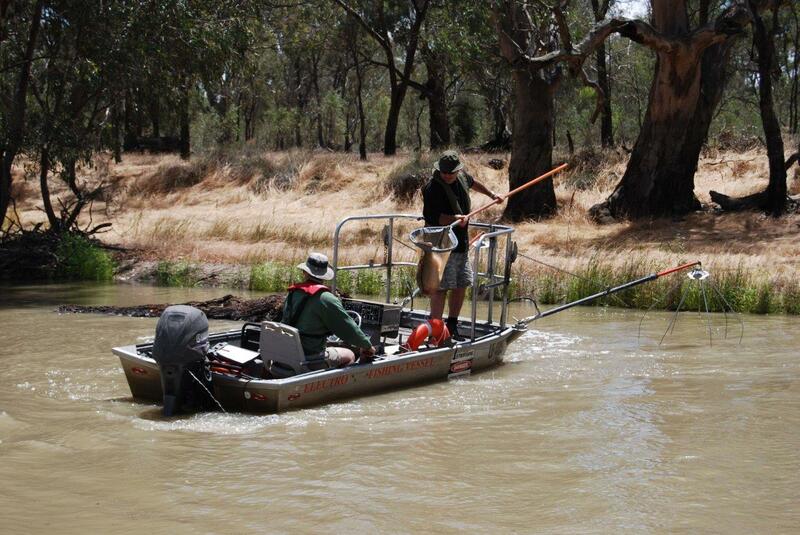 Environmental watering in the King and Buffalo rivers in 2016 aimed to benefit native fish. 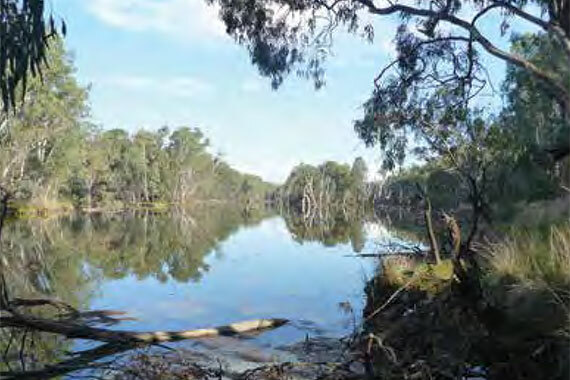 Environmental water releases into the Ovens system in north east Victoria created connected pools and riffles (shallow sections of a river with rapid currents) and variable, more natural flows to provide food and habitat for waterbugs and other aquatic plants and animals.